Handheld string winder, durable ABS case. The perfect complement to line markers. 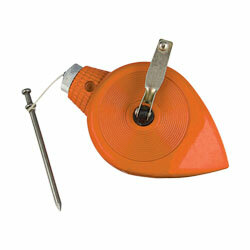 Durable ABS case keeps the string fully enclosed to prevent damage. This is wound by one person with ease. The nail stores on the side of the unit for safe keeping. Comes with 450' of durable nylon twine.